June 20, 22, 27 and 29 4451 Stack Blvd. MELBOURNE—The Space Coast Writers’ Guild will hold a four-session class over two weeks in June to assist adults to write their life’s story. Linda Jump, author of From Memories to Memoir Using the Jump Start Method, will lead the class at the Fountains of Melbourne at 4451 Stack Blvd. Classes are from 6:30 to 8 p.m. Mondays and Wednesdays on June 20, 22, 27 and 29 in the Community Room. Cost is $30 for all classes. Classes are planned to be sequential, with writing assignments to be read and shared each class. Individual classes are $8 each. “What would you give to have the written stories of your great-grandparents? 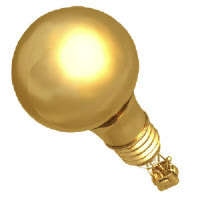 Leave a legacy for your descendants that are more golden than any other heirloom. Students will begin their memoir and learn the tools and skills to keep writing,” Jump said. Jump is a former reporter and photographer for Florida Today newspaper and the author of three published books and numerous magazine articles. She co-facilitates an ongoing Writing Your Life class through the Shepherd’s Center of South Brevard. Attendees will learn how to start their memoir, will write their six-word memoir and receive topics and questions to continue their writing. For information, call Jump at 321-952-7422. A Thirst for War gives readers a unique view of the Civil War. It tells the story of Professor John Ulysses Martin. He is idealistically anxious to serve. Accompanied by a couple of his students, he travels to join up and looks forward to seeing action. As he watches others killed and maimed one after another, disillusionment settles in on him. A Thirst for War starts before Martin goes off to war. It shows his anticipation before he first sees action, then his immersion into the breathtaking action, and the sorrow of injury and death that surround the soldiers every day. This book gives readers a fast-paced glimpse into the past and the realities of war in those days as well as a good dose of beautifully crafted intrigue. History buffs will read this eagerly to experience the war through this author’s eyes. Those who don’t generally read historical fiction will enjoy it as well as it is an exciting story that grabs the reader and hangs on. Raymond Gustavson is retired from the VA Regional Office in St. Petersburg, FL where he was a rating specialist (RVSR) on the Appeals Team. He is a contributing editor to Vietnow magazine. He lives in Florida with his wife and a vivacious Labrador retriever they are teaching to sing barbershop. Gustavson is currently writing a sequel to A Thirst for War, and also is working on a thriller based on a visit to Chartres Cathedral. Additionally, he is actively at work on a self-help book for veterans seeking benefits from the Department of Veterans Affairs (VA). 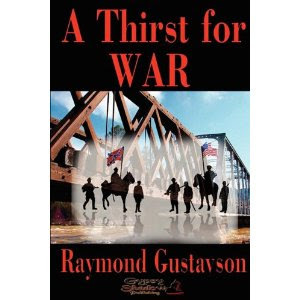 A Thirst for War is available through Amazon.com. All writers, —novice and experienced, —can use a fresh perspective. Learn 10 ways to recharge your creative batteries and generate new ideas for writing, publishing, and/or selling your work. Dianne Marcum, author of Cape Canaveral, Cocoa Beach & Florida’s Space Coast, was vice president of human resources for Walt Disney World, a company where creativity was brought to every task. Today Dianne lives in Cape Canaveral and is a member of several writing groups, and is active in environmental and community organizations. Visit the Space Coast Writers Guild for details. Put this on your schedule if you want to attend the granddaddy of all book festivals. The Miami Book Fair International is scheduled for 11/13/11 through 11/20/11. It's a feast of wonderful books, authors, publishers, etc. For example there will be 350+ featured authors and 250+ publishers and booksellers exhibiting their products. There's a Children's Alley with programs geared to young readers and on Friday the Street Fair starts. Visit their website to get a full picture of the festivities. The Writers' Conference (the day before the Florida Heritage Book Festival) is scheduled for September 23, 2011. The Literary Legends Banquet, with Randy Wayne White and Peter Matteissen as speakers, will also be on Friday. Early registration is available on line. 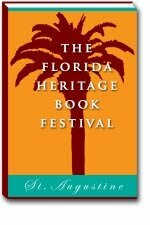 On Saturday, September 24th, 2011, attendees will be treated to the Florida Heritage Book Festival. Over 25-featured authors will be on hand as well as special programs for children and young adults. Visit their website to read all about the events of this great book festival. Kale Firehart is a young dragon, and the sole survivor of his race. As a tyrannical general and his massive bloodthirsty army close in on Kale—the most unexpected circumstance transpires. With time against him, Kale’s trusted friend, a veteran arcane sorcerer, transforms him into the one thing he despises most—a human. Kale must unwillingly live among human-kind as he embarks upon an extraordinary journey. With a band of unlikely friends by his side, can Kale overcome the obstacles before him and return to the life he once knew? Aya Knight, author of The Chronicles of Kale: A Dragon's Awakening, was born in South Florida, where she spent the majority of her childhood. At a young age, she developed a strong passion for fantasy and a love of writing. Through movies, books and computer games she would escape into an alternate reality filled with adventure, magic and epic quests. As Aya entered adulthood, she expressed her enjoyment of writing through becoming a freelance journalist. 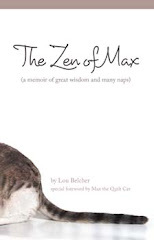 She wrote about a broad variety of topics that gave her a brighter insight of the world. Eventually she left journalism behind to focus on her career as a novelist. FLAGLER BEACH, FLA – Ocean Publishing, a small traditional publisher on Florida’s east coast, won the coveted Benjamin Franklin Award in New York City on May 23rd. Explore the Southeast National Marine Sanctuaries with Jean-Michel Cousteau was selected as a category winner out of over 1300 entries in the 23rd Annual Benjamin Franklin Awards program conducted by the Independent Book Publishers Association (IBPA) to recognize excellence in independent publishing. Publications, grouped by genre, are judged on editorial and design merit by top practitioners in each field. Explore the Southeast National Marine Sanctuaries with Jean-Michel Cousteau is a grand adventure, an intelligent inquiry into the health of the oceans, and a visual look at amazing underwater natural treasures. “Cousteau” enthusiasts and modern environmental adventurers will appreciate the stunning photography, engaging text, and first-person behind-the scenes narratives that guide the reader through the Southeast region (Florida Keys, Florida; Flower Garden Banks, Gulf of Mexico; Gray's Reef, Georgia) of the National Marine Sanctuaries. 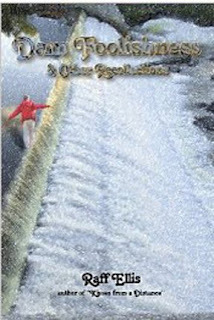 Ocean Publishing produces nonfiction books about nature, marine life, environment and conservation. Started in 2002, the company has 21 titles and publishes 3-4 books per year. Represented in the book trade by Chicago-based Independent Publishers Group (IPG) in the United States and worldwide, Ocean Publishing is located at 200 S. Oceanshore Blvd, across from the Atlantic Ocean in Flagler Beach. Besides production, administration and marketing functions, the space contains a retail store for ocean’s books, plus two art galleries and an information center for residents and visitors. Jean-Michel Cousteau, the son of the iconic ocean explorer and protector Jacques-Yves Cousteau, is the founder and president of Ocean Futures Society, Santa Barbara, California. As Chairman of the Board and President, Jean-Michel travels the world, meeting with leaders and policymakers at the grassroots level and at the highest echelons of government and business. He is dedicated to educating young people, documenting stories of change and hope, and lending his reputation and support to energize alliances for positive change. His accomplishments in ocean protection are legendary. Explore the Southeast National Marine Sanctuaries with Jean-Michel Cousteau (ISBN 9780982694015) is available at local bookstores, Internet booksellers, and at both Ocean Futures Society and Ocean Publishing. First, congratulations to Bill. Books 2 and 3 of his Greg Hart Trilogy have been accepted for republication in the new Journals of Myrth series offered by Bell Bridge Books. 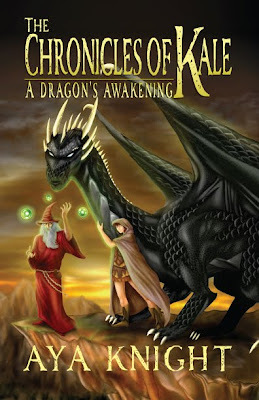 You can find Bell Bridge and Bill's book here: http://bellbridgebooks.com/books/HowToSlayADragon.asp. Second, he will be appearing on Focus (Brighthouse's channel 49 program of the arts in Brevard County) on the following dates: June the 30th at 6:30 PM, followed by Monday, July4th at 8 PM then Wednesday at 7:30 PM. I attended a great workshop today. Mad About Words sponsored Lisa Pasold's presentation of Don't Just Sit There. It was a great conversation of creativity. We all left there with renewed enthusiasm for our writing. If you missed the workshop, you still have one more opportunity to see Pasold. She will be at Infusion Tea in Orlando on Wednesday at 7:00 pm. Infusion Tea is at 1600 Edgewater Drive. Pasold will speak and read some of her poetry. Lisa Pasold is a writer, editor, and teacher. She has a decade of experience in teaching creative writing to writers of all levels—adults, children and teens. She has taught at the American University in Paris and at the Women’s Institute of Continuing Education (WICE). She has led writing workshops across Canada, from Dawson City in the sub-Arctic to the challenging Jane & Finch neighborhood of Toronto. The information is posted for the Florida Writers Association conference. It is scheduled for October 21 through 23, 2011. Be sure to save those dates. It includes workshops, editors and agents, and much, much more. You'll find all the information at the FWA website, and the Florida Writers Conference Blog contains updates that you won't want to miss. Check back here periodically too. I'll post information about it as it becomes available. With multiple books of non-fiction and fiction to his name, it is a refreshing and delightful surprise to read Marshall Frank's newest book, Messages - Short Stories for the Thoughtful. In it, Frank's verbal storytelling abilities translate beautifully to the page. At first glance, the stories appear to be charming vignettes meant only to entertain, and then the messages sink in and stick with you. Frank seamlessly conveys insights into human behavior and emotions that deliver, with depth, the intended meaning. This is not your everyday book of short stories. To enhance them, Frank introduces each story with a famous quote. These nuggets add interest and clarity. Another Frankism is the addition of the Truth-O-Meter at the start of each story. This innovation tells the reader the "degree of truth in the tale." As a reader, I found myself referring back to the Truth-O-Meter while reading many of the stories. 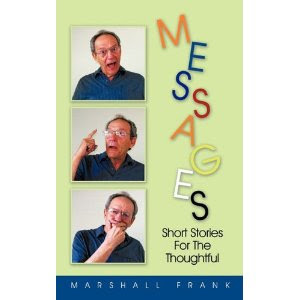 Marshall Frank's eclectic life experiences and his ability to turn those experiences into stories have added a unique flavor to Messages. Topics range from stories drawn from Frank's vast experience in law enforcement to stories enhanced by his background in classical music. This diversity and depth assist him in eliciting the full spectrum of emotions from readers. Joy, sorrow, resignation, regret, anger, desire... they are all portrayed by characters we meet every day in our lives. I found the stories in this volume packed with believable, three-dimensional characters , not the plastic heroes and heroines so often found coming from the pens of many authors. This is a great collection for those who love short stories. Through them, Frank has provided that perfect combination of entertainment and something to ponder. The Fringe is a 12-day-festival that is founded on the concept of offering 100% unjuried, 100% uncensored, 100% accessible theatre, music, dance, art and madhttp://www.blogger.com/img/blank.gifness to all types and ages where 100% of the box office ticket sales go directly back to the artists within The Fringe. The Orlando Fringe is the longest running US Fringe festival. For more information, go to the Fringe website. This novel is an intimate tale of human relationships; an historical love story of passion, self discovery and a woman's subservient position in the mid-eighteen hundreds in Egypt. It shows Nilofleur's struggles with the polarizing differences between East and West. Philippe, a Parisian aristocrat becomes enthralled with the young Egyptian woman, trapped in an arranged, loveless marriage and follows her to Egypt. There he is befriended by her husband. Fate seems intent on keeping Nilofleur and Philippe separated, but they take risks even though it could cost them their lives. Their tribulations culminate during the celebrations of the grand opening of the Suez Canal. He bowed. "Madame plans to participate in the race today?" She contemplated him for a moment. He never asked her plans, she always gave orders – he must have a reason. A slight tinge of mischief shimmered in her eyes. "This might be your only chance to display your horsemanship. Riyad Pasha sent you a present. Perhaps, after you open it in your salon, while Waffah tends to other duties, you will decide. I will wait for your answer." Omar bowed and backed down the stairs. Curious, Nolly took the steps two at a time and dashed to her bedroom. Waffah had just finished spreading the magnificent Louis XV bed with a snow-white Alençon lace counterpane. "Please leave and see to my breakfast." "Later, go now." 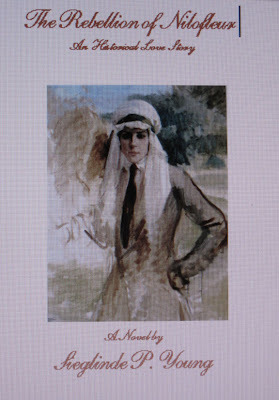 Nolly untied the ribbon wrapped around a colorful scarf and stared at the man’s riding outfit. She laughed and held it in front of her. Would she dare? She knew this race was no ordinary race. Arab horsemanship would be on display. There would be a total disregard of Ascot or Longchamps racing conventions. She stripped and donned the habit. Dare she participate? Her pulses pounded with indecision and excitement. Suddenly she gasped for air and clasped her chest. Her chance, her one and only. Riyad had opened the door. She jerked a long, black flowing cape from her armoire, spread it around her shoulders and summoned Omar. As if he’d been waiting for her call, he appeared within seconds and slipped into her room. "What do you think? Will I pass?" A grin flitted over Omar‘s face. "You have decided to ride." Sieglinde P. Young was born in Hannover, Germany and personally experienced the horrors of World War II. After the war she and her family emigrated to Canada and a few years later to Miami, Florida. After she raised three daughters, wanderlust struck and the next twenty years took her and her husband to live and work in West Africa, South East Asia and the Middle East. She now resides in Cocoa, Florida. Ms. Young’s book The Rebellion of Nilofleur is available at Amazon. com and as an e-book in Kindle format. Valerie Allen, Cape Canaveral PEN member, has had an article published in the On the Coast Magazine. This parenting magazine serves parents and families on the SouthWest coast of Florida. Valerie's article, Joy of Summer: Teens at Work, was published in the May issue. The article provides tips and pointers for teens trying to land that summer job. Valerie is a freelance writer for the Parenting Publications of America and her articles have been published, on line and nationwide in parenting magazines and in trade journals for educators and mental health professionals. Maitland Poets & Writers is a division of Performing Arts of Maitland (PAM) and is dedicated to fostering the growth of literary arts in Maitland and its surrounding communities, and providing opportunities for the public to come and experience the joy of creative writing. Creative Writing workshops will begin on June 12th. Workshops will run from 1:30 to 4:00 p.m. and are open to all writers 18+, beginning or experienced. All you need to bring is a notebook/pen or a laptop. There is no fee to attend, but PAM asks that participants make a donation. Maitland Poets & Writers Workshop proceeds solely benefit Maitland Poets & Writers and enable Performing Arts of Maitland to continue to bring literary opportunities to the community. Seating is limited to ten participants, so please contact Sarah to register no later than the Friday before the workshop. Important: If you do not register prior to the workshop, we cannot guarantee you a spot. The workshops are led by MPW Director, Sarah Prevatt. Sarah is a professional writer whose work has appeared in several literary magazines, including Vestal Review, Hawai’i Pacific Review, Saw Palm: Florida Literature and Art, and The Chaffin Journal. She has an MFA in Creative Writing and has taught at the University of Central Florida, Miami-Dade College, and in a variety of community settings. For more information, please visit www.sarahprevatt.com. 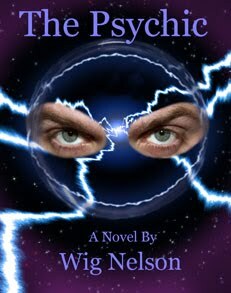 Wig Nelson is featuring The Psychic for a reduced price of $15.00 which includes a free CD of his music. The CD is called "Get There." Buy an autographed copy of The Psychic for only $15.00. Includes free shipping and a free copy of Wig's latest CD "Get There." A psychic tries to stay one step ahead of a mysterious scientist from his alma mater, Columbia University , as he is stalked from a cruise ship in the Caribbean to New York City . Eddie Corrigan is working aboard a cruise ship as a psychic performer when the fabric of his mind appears to unravel. He is an ex-profiler for VICAP, within the FBI, who had to resign for health reasons. Using his gift usually produces severe headaches which increase in duration with each onset. Although his condition improves with exposure to salt air, his fear is that, in time, he’ll produce the one headache that never goes away. Eddie’s brother, Bobby, is his former police partner who works for the Jacksonville , Florida PD. His beat is homicide, which comes in handy when people aboard the cruise ship begin to be killed off in very peculiar ways. Eddie enlists Bobby’s help as well as that of a beautiful cruise director named Erin Kahill. The three try to solve the mystery behind the bizarre deaths before becoming one of the next victims. They discover that an evil doctor from the zoology department of Eddie and Bobby’s alma mater, Columbia University , is behind the heinous acts aboard the ship. Eddie and Erin are quick to realize the depth of their dilemma. They fear trusting anyone, or indeed, their own senses. Strained trust issues culminate into a tense emotional attachment as they race to uncover a plan to undermine the national security of The United States. The death of a close, friend many miles away, brings them to a funeral in Atlanta , Georgia , where Bobby rekindles his relationship with the dead boy’s sister, Megan. Megan’s job involves data-mining for the Department of Homeland Security directly under a man appointed by the President named Jonathan Bridges. Her access to the director is an integral part of the devious plans of the evil mind shaper, Dr. Gerald Fitzsimmons. Fitzsimmons had developed a method of personality reconstruction through the use of multi-sensory fixed interval stimuli. Beyond the Hilgard scale (one thru five) lies a new plateau of waking somnambulism whereby the subject can act beyond the parameters of self-preservation. An inter-hypnotic suggestion produces a flight response in order to defend against exposure to the subject’s innate phobia. A phobic reaction to fixed interval stimuli results in a hyper susceptible state conducive to personality reconstruction. Have you ever answered the phone and there was no one there? Wanna bet? Eddie and Erin manage to stay a slender step ahead of the Fitzsimmons as they travel to New York City . Eddie agrees to develop a psychic connection show called Eddie Corrigan: Medium At Large. His hope is to flush out Fitzsimmons at a time of his choosing, (during the show) which leads to the discovery of the evil doctor’s lair. Within the cell of terrorists, Fitzsimmons has been hatching a plan that will be the exclamation point to the statement that the 9/11 acts intended to drive home to us all. No one is safe. Have you ever been to Book Expo America. Well it's coming up starting on Monday, May 23, 2011 in New York, New York. You might want to check out what's happening there. It is the book event of the year. Visit their website to get an idea of what is happening. 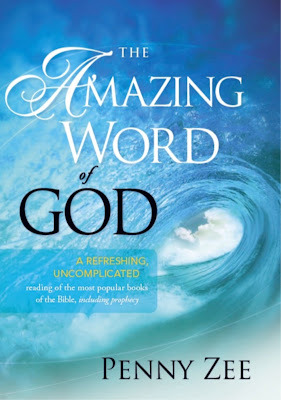 Penny Zee, the author of The Wonderful Word of God has upcoming book signings and events. NASHVILLE 2011 HOME EDUCATION EXPO. Middle Tennessee Home Education Assn. From rock 'n' roll DJ in Ft. Lauderdale, to newscaster and talk show host in L.A., Barb Whitesides has had a wild ride in radio over the last three decades. She'll tell all on May 21 at the monthly luncheon of Mystery Writers of America/Florida Chapter. Of special interest to writers: Barb's dulcet tones are now on audiobooks for www.SpokenWordInc.com. She adapts her vocal skills to genre, from dark mystery to light comedy and everything in between.The books are also available on www.audible.com (a subsidiary of Amazon.) Ever wonder how YOUR story would sound? Barb's is the sultry voice behind the Sammy Greene mystery series, by South Florida author Deborah Shlian and co-writer, Linda Reid. She is on the faculty of University of Phoenix, teaching Media Influences on American Culture and other communications courses. She lives in San Diego, California. Deborah Shlian, whose latest book in the series is DEVIL WIND (Oceanview Publishing, 2011, $25.95), will be on hand to give the author's perspective on audiobooks as an additional media outlet. Deborah, a board member with MWA's Florida Chapter, is also a physician and health-care consultant. She's written five award-winning medical mystery/thrillers, including three co-authored with her husband, Joel. The Shlians live in South Florida. Time: 11:30 a.m. for mingling, lunch at noon. Cost: $25 for MWA members; $30 for non- members. Buffet lunch. All are invited, but reservations are required. 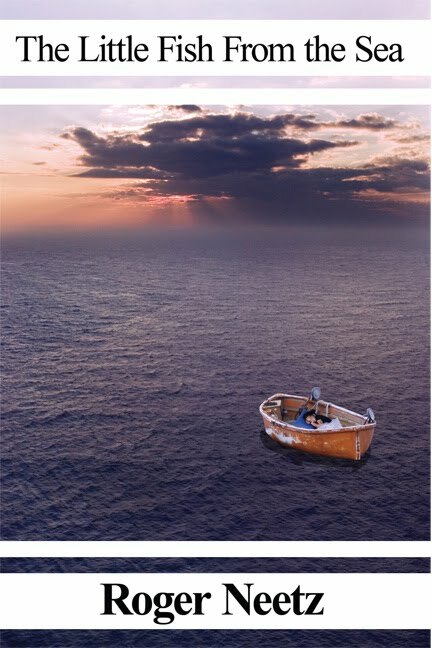 Publish America is pleased to announce the publication of, The Little Fish from the Sea, a new book by Roger Neetz. The story will touch the heart of all who read it .Written especially for children, who can identify with the main character, the book will capture the hearts and minds of mothers and guardians as well. The setting is Cuba in the early years of the revolution. The story begins when a dissident Cuban writer, who has turned to the open sea as a panacea for his disillusionment of the political changes, finds a little girl floating in a small yellow life preserver in the open sea. This discovery defines the story’s next phase. The girl denies any knowledge of her past but reveals a musical talent that astounds the writer. Each page of the 90-page book is filled with a love relationship that develops with every being the little girl meets. Good writing makes the book easy to read and the places, events and characters move the story to a happy ending. The path traveled challenges tragedy, sorrow and misfortune, all normal life experiences that growing children face. But the story leaves a message of good will that children can recall. As a publisher, Publish America highly recommends the book for young people as a must summer read. The beauty of the story rests in the young child’s love for all who help her find the answer to her prayer. Roger Neetz, a resident of Vero Beach, Florida has authored three historical novels. This is his first children’s works. A graduate of Georgetown University, School of Foreign Service, his career included assignments with CIA ,and the Foreign Agricultural Service in Europe and the Soviet Union. 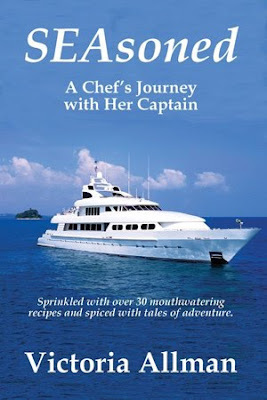 Martinsville, IN – NorLights Press announces the release of SEAsoned: A Chef’s Journey with Her Captain by Victoria Allman. SEAsoned (ISBN: 978-1-935254-37-9, Trade Paper, 204 pages, Nonfiction, $15.95) is now available wherever fine books are sold. 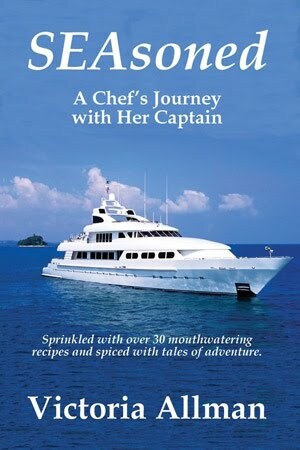 The newest release by acclaimed author Victoria Allman, whose debut book, Sea Fare: A Chef’s Journey Across the Ocean, was awarded the prestigious Florida Writers Association’s Royal Palm Literary Award for Travel, SEAsoned: A Chef’s Journey with Her Captain is a tantalizing travel adventure tale. What happens when you take two adventurous newlyweds, and place them on a floundering yacht wrought with problems? Better still, what if the husband were the captain—and boss of his new bride, the chef? And why stop there? Add in a couple of wildly inexperienced crew members; an anorexic diva and her bully of a husband; a CEO who is always in charge; a randy wife, bored of her marriage and looking for a diversion with a drunken first mate; guests who love the nightlife—and require a bedtime snack at 4:30 in the morning; and a chef’s worst nightmare: a guest who just happens to be a Michelin-trained chef. And who could forget a violent storm and a rapidly-flooding engine room? Apply pressure and watch this situation simmer to a boil. Sound like a recipe for disaster? Hardly: this pressure cooker of epic proportions is the recipe for Victoria Allman’s charming, captivating and chuckle-out-loud new read, SEAsoned: A Chef’s Journey with her Captain. A skilled storyteller with a keen eye for detail and an uncanny knack for telling it like it is, Victoria Allman delivers a spellbinding story that almost reads like a novel. Told with heaping helpings of heart, humor and humility, SEAsoned is a tremendous tale that takes readers on an extraordinary journey across the Bahamas, Italy, France, Greece and Spain. Peppered with over 30 mouthwatering recipes, and spiced with a truth-is-stranger-than-fiction narrative, SEAsoned is a book to be savored. A fantastic mix of food, fun, and foibles, SEAsoned is a delightful, delectable—and wholly devourable—look at what happens when life on the high seas turns out to be anything but smooth sailing. NorLights Press (www.norlightspress.com) is an independent book publisher headquartered in Indiana. A member of the Independent Book Publishers Association and The Association of American Publishers, NorLights Press publishes an eclectic list of titles ranging from novels to travel tales. Members of the news media wishing to request a review copy of SEAsoned or more information are kindly asked to contact Maryglenn McCombs by phone—(615) 297-9875, or by email—maryglenn@maryglenn.com. Congratulations to Stuart Borton. His book Yellow Dog Cafe Cookbook is #3 on the Vero Beach Book Center Hardcover Non-Fiction list. There's still time to sign up for the First Saturday Writing Workshop this coming Saturday, May 7th from 9:00 a.m. until noon at the Marks Street Recreational Center. Pay just $15 in advance, $25 at the door. To register and pay on line or read more about this and other fun writing workshops, go to the Writing Your Life website. You may also register by mailing a check payable to Writing Your Life to P. O. Box 541527, Orlando, FL 32854. They are saving you a seat. In 1942 World War II is in full swing. 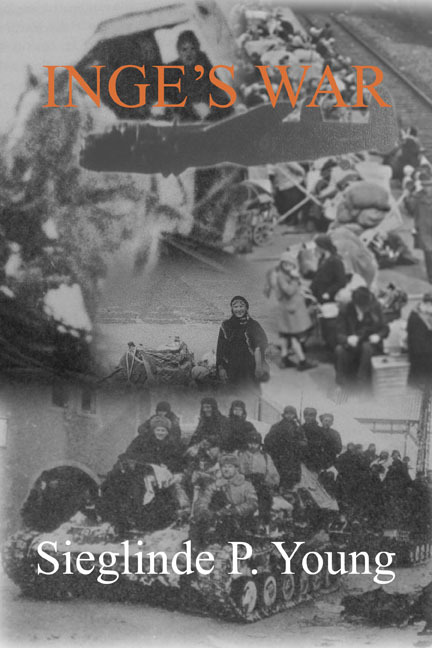 German cities are bombarded on a daily basis and many civilians die. To keep her daughter safe, Mrs. Lyndt takes six year old Inge to her mother’s estate in Prussia. There Inge befriends Paul-Emile Diderot, a sixteen year old French prisoner of war. In 1945,as the Red Army advances on Prussia, Paul-Emile decides to escape with Inge his ticket to freedom. Thirty-five years later their paths cross again at an archaeological dig in Egypt. "I pulled on Amsel’s halter and walked deeper into the forest. When I sank to my knees into the virginal snow, I stopped and looked back. Paul-Emile hoisted me on Amsel’s back and without saying a word, walked the horses to the edge of the clearing. "Suddenly he groaned and dropped like a felled tree. Evil laughter was followed by a corrosive voice mumbling in a foreign language, ‘Urri, urri’ (Uhr - watch). "I gaped at the soldier wearing a green tunic, felt boots and trousers bagging at the knees. A fur cap with ear flaps sticking out on either side sat jauntily on his head. He knelt next to Paul-Emile and searched his pockets. "I wasn’t at all sure he knew I was even there. As soon as I saw Paul-Emile lying on the ground, I’d leaned forward on the horse’s neck trying to make myself as small as possible. I was so scared that it hurt all over my body. The soldier clambered to his feet and swaggered up to Donner. We stared at each other. He gently stroked first Donner’s then Amsel’s muzzle. I could see he admired horses and felt a little less frightened. "Suddenly his hand lashed out and with one swift movement he yanked me off the horse. I landed at his feet and lay in the snow staring up at him. He chuckled, pulled his bayonet out of its scabbard and with one quick slash slit my pants leg. I kicked him and tried to scoot away, but he held me down and laughed at my feeble efforts. His sour, rancid breath almost suffocated me when he leaned close and patted my face. "I screamed for Paul-Emile. The louder I yelled, the louder the man roared with laughter. He knelt over me and fumbled with his belt. His pants dropped below his knees. I kicked and squirmed and let loose a piercing scream before he clamped his big hand over my mouth. I tried to bite him, but couldn’t get a grip. Then the crack of a pistol reverberated in my ears and the soldier’s heavy body crushed the breath out of me." Dena sucked in her breath. I’d never talked about this to anyone and was glad it was dark in the room. "I thought I was going to drown in the sticky substance that smelled oddly of wet, rusty iron and tasted warm and salty. I twisted my head trying to get away from the cloying fountain and saw a boot raised about to strike. I cringed. "The weight was gone and I could breathe again. A soldier holding a pistol in his hand inspected me. He grabbed a handful of snow and rubbed it gently over my face.
" ‘Paul-Emile!’ I screeched. I scrambled on all fours over to him and threw my arms around his neck. "The soldier examined Paul-Emile’s head then pulled him to his feet. He spoke at length in French. Paul-Emile nodded. "Paul-Emile wrapped me in a blanket and lifted me on Amsel’s back. The Russian officer pointed in a westerly direction. They spoke for a few more minutes then the Russian handed Paul-Emile our Reichsmarks. They shook hands. Ms. Young’s book is available at Amazon. com and as an e-book in Kindle format. Cune Press is proud to announce the release of Dam Foolishness, a memoir by award-winning author Raff Ellis, whose Kisses from a Distance was critically acclaimed, both here and abroad. The stories in Dam Foolishness are based on the author's life experiences that began in the small village of Carthage, New York, tucked away in the foothills of the Adirondack Mountains. Carthage lays no claim to uniqueness or any remarkable attributes that would distinguish it from thousands of such hamlets all across America. The author's reminiscences, which led him to pen the short stories contained in Dam Foolishness, were prompted by the memories nearly all of us have as we grow older and ponder our past lives. Anyone who has lived in small town America will likely recognize, or recall, many of the characters written about in this book. As they peruse these tales, readers will also be prompted to take their own journeys into the past and remember the quaintness their own hometowns and the people that populated them. 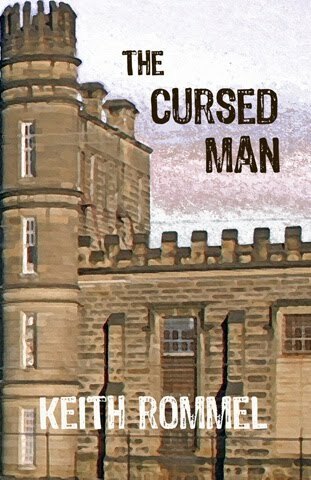 Keith Rommel will be holding a signing event for his dark suspense novel, The Cursed Man. What makes King and the Cowboy so valuable? William Cummins "Bill" was born and raised on a farm in Ohio. As a young boy, his pony and his guitar were most important to him. And his hero was Gene Autry. By 16, he knew 300 songs and had a radio show. He learned to break and train horses and trick roping, too. With his horse King, he headlined across Ohio, doing stage tricks. Bill acquired his first pony when he was six years old and his first guitar when he was ten. His hero was America's favorite singing cowboy, Gene Autry! Eventually, he gave it up for a full-time jog and a family. 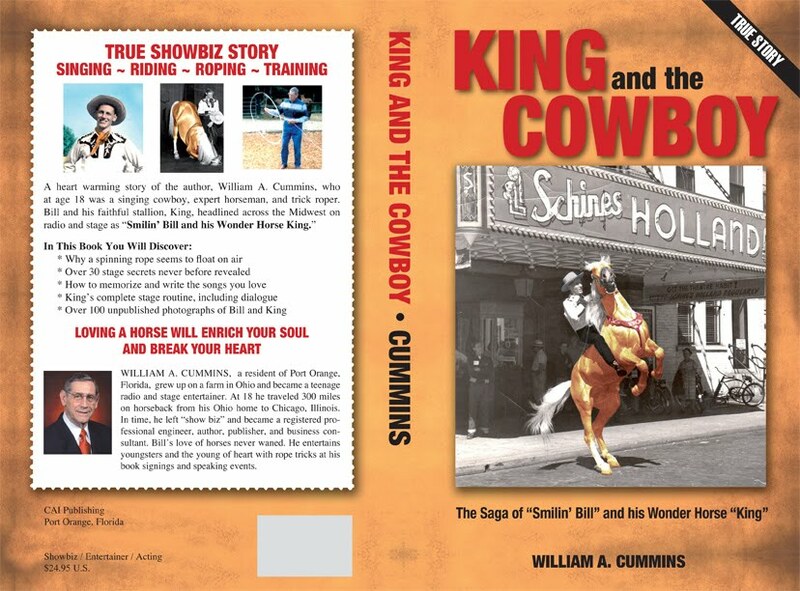 Now his knowledge of those days is captured in King and the Cowboy. He currently lives in Port Orange, Florida and is launching the publication of this book. You can find ordering information at the CAI Publishing website.